What the hell does the Saudi royal family hold over American presidents? It’s as if we elect a President in America, give him the Resolute Desk and the Book of Secrets, and in the latter, he learns to assume fealty to the Kingdom. The next thing you know, regardless of party, the President is holding hands with the King. By way of example, President Trump’s first foreign trip was to the Kingdom. I don’t get why the Saudis hold such sway. Especially now. And not just over our politicians. 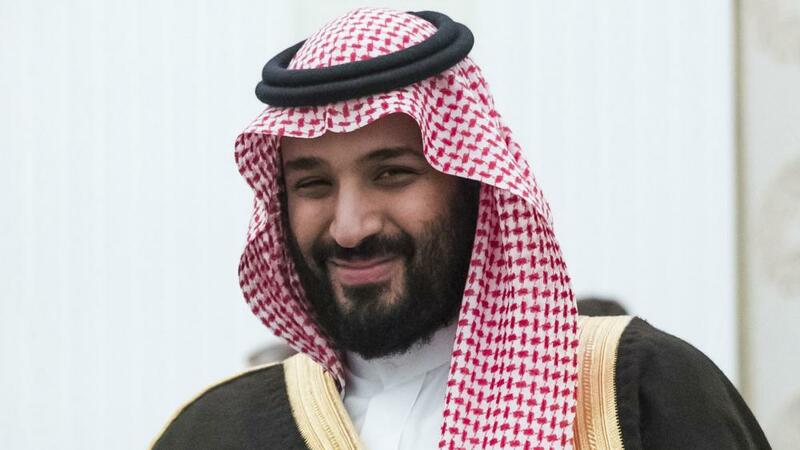 When Mohammed bin Salman came to the U.S. in the spring, he was fawned over by industry titans, from MIT to Silicon Valley. More recently, on October 2nd, an American resident, working for the Washington Post, walked into the Saudi consulate in Istanbul to get marriage papers and never walked out. The Saudis repeatedly said he left alive. But last night brought a Friday news dump -- notably timed for the middle of the night in Riyadh -- the sad acknowledgement that Jamal Khashoggi is dead. The cover story? A fistfight broke out and became fatal. A fistfight. How convenient then that fifteen operatives, including an autopsy specialist, were on hand. Of course, there was no mention in the Saudi acknowledgment of a bone saw or dismemberment -- not to mention the location of the body. The initial response by the White House? A tepid “acknowledgment” of the Saudi report and a promise to “closely follow the international investigations”. Here’s my question: why are these our partners? As I tweeted when the news broke, mention Saudi Arabia to me, and I think: Wahhabism. Madrassas. bin Laden. 15 of the 19. The redacted 28 pages from the Congressional Joint Inquiry into Intelligence Community Activities before and after the Terrorist Attacks of September 11, 2001. All that was quickly forgotten with abandonment of the agreement that contained Iran’s nuclear capabilities for at least a decade. And the rush to take sides in the age old split among Sunni and Shia. Why is it in the best interest of the United States to pick sides in a sectarian dispute that’s been unresolved since the year 632? None I can see. Sadly, his words proved prescient.